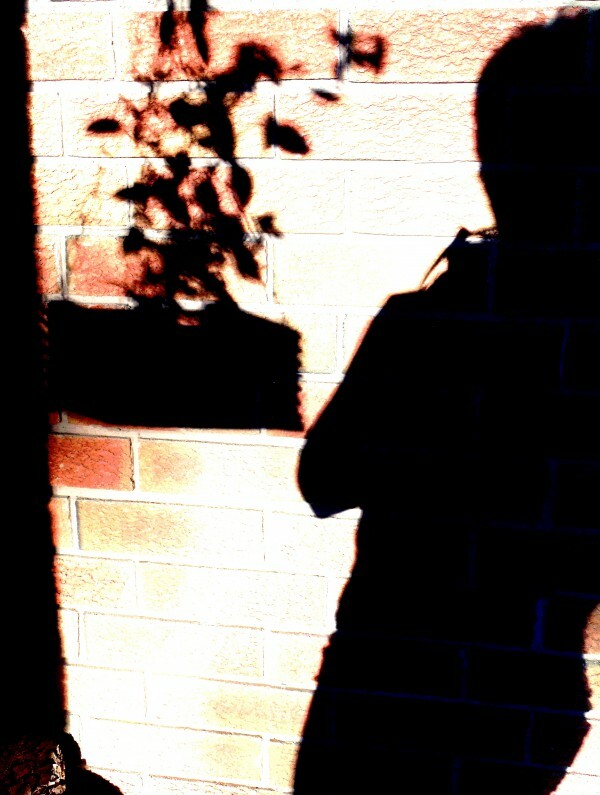 I love these shadow pictures, Carin. I can just imagine you spotting that and hopping out of your chair to get that bit of magic. Your treatment of it enhances the etherial quality. My fave is where you put yourself into the image, Carin! So, why do you think the aura around the plant is so different than yours? Exciting composition! The aura? You see an aura? Okay, this is interesting. Tell me more! Oh, so pretty, Carin. 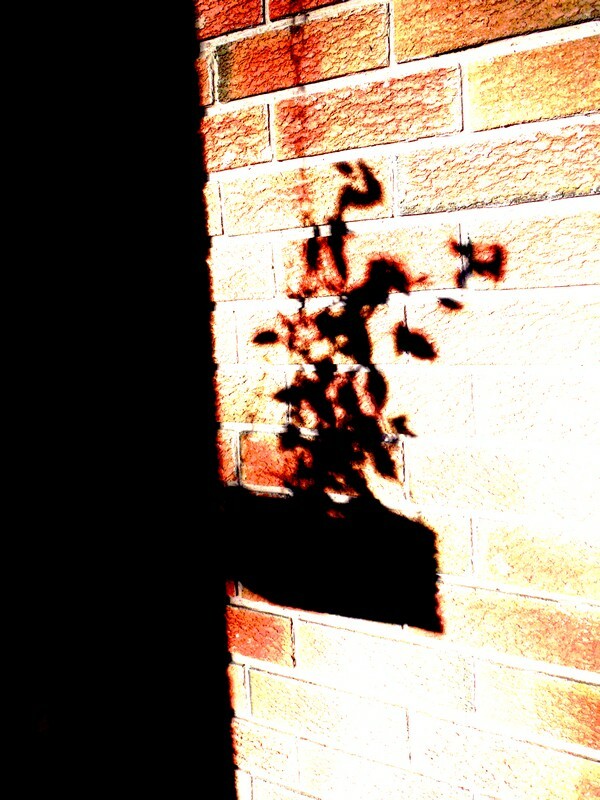 I love shadows — and here they’re very striking set against the brick. Your playfulness comes into the second shot, with your shadow there too. I used to take a yoga class in the early evening, and there would be this beautiful shadow pattern of leaves (from a tree outside the window) on the studio wall beside the instructor. I was supposed to be concentrating on my poses, but I just wanted to grab a camera and capture the shadows. As you have done! Ah, the Ghost Photographer strikes again! What a great (and spooky!) shot. I shadow myself all day.